Wow Sherrie! So beautiful! 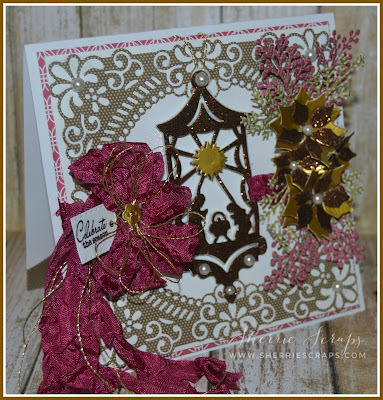 Love the fancy die cut designs and all the shimmery details! Those golden flowers are fabulous! Wowwwwwwwwww! These are gorgeous! LOVING the glitter!!!!!!!!!!!!!!!!!!! 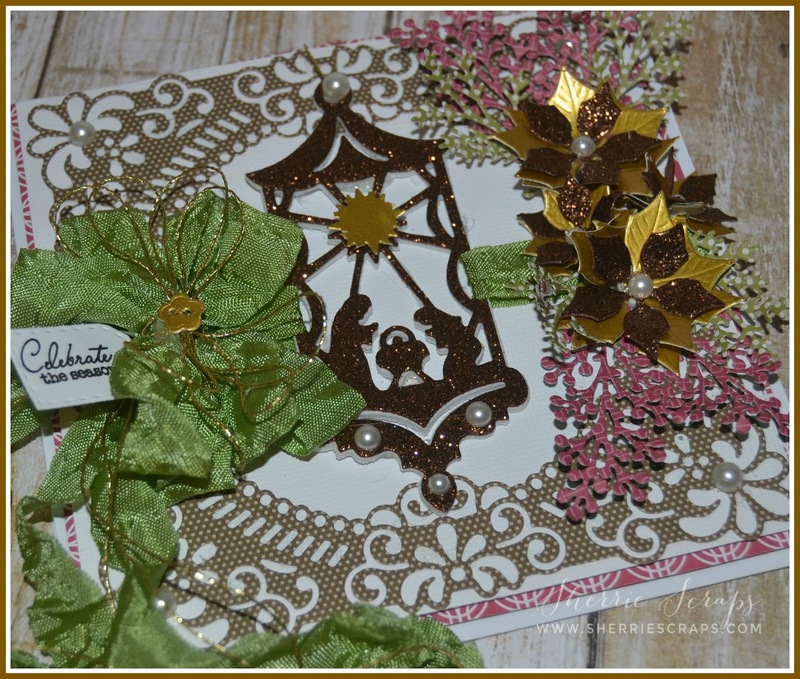 Two gorgeous Christmas cards! The dies you used to make these beauties are wonderful! Love the gold twine mixed in with the crinkle ribbon! 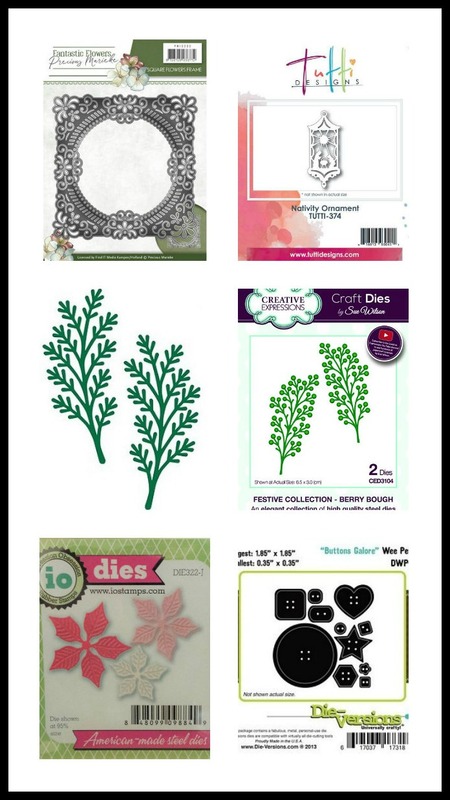 Love the Nativity and poinsettia dies too! Beautifully done! I love how you've framed the Nativity scene. Beautiful cards! I just love the gorgeous dies you used! All of the sparkle and shine brings such an elegance to your cards! So very pretty! 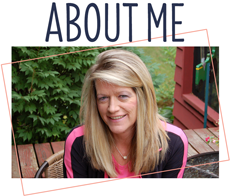 Wow, Sherrie, these are absolutely amazing!! I love the dies you used!! They layer together so perfectly!! The Nativity ornament is such a perfect focal point and I love the sparkle!! The poinsettias are stunning!! These are so gorgeous, my friend!! I love, love them!! That nativity is gorgeous, and the frame, too! Love the cascading ribbons! So pretty! 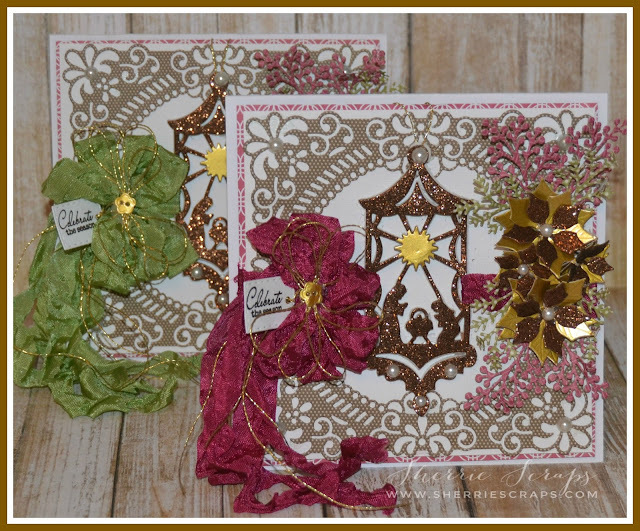 Gorgeous set of cards Sherrie! 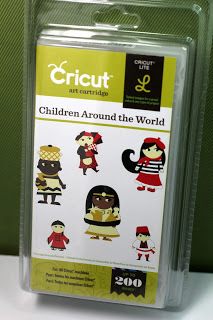 Love the colors and such a marvelous choice of dies to put together these beauties. 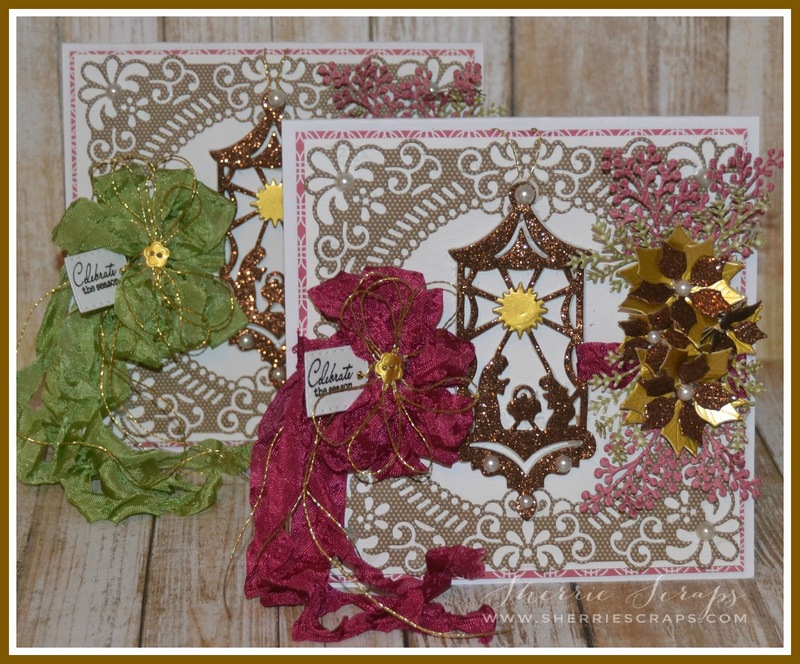 Sherrie, my friend, your Christmas cards are STUNNING! 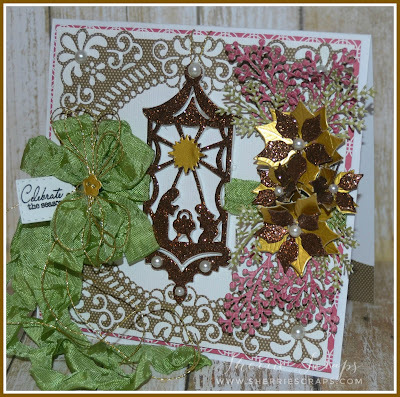 I love that Tutti ornament die and all your gorgeous layers! The balance of the gorgeous bows and those glittering poinsettias is so striking! You make the most beautiful cards, and I'm so inspired by you! Hugs! Hi Sherrie, I have to begin by saying..WOW!! Gorgeous cards! I love the gorgeous ribbon with gold twine.Love the gold details.The poinsettias are is pretty and the Nativity is beautiful.Awesome design. Beautifully done my friend! Wow Sherrie these are so beautiful! 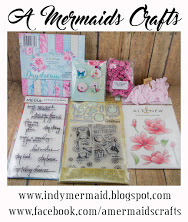 I love the dies you used and the bows are perfection!! Two beautiful Christmas cards. I loved the sparkly nativity scene. Your bows are goreous with the gold filament. Sherrie this is such a gorgeous Christmas card! I love all of your details! Thanks for joining us at DL.ART Challenges! This is absolutely gorgeous, Sherrie! Thanks so much for sharing your talents with us. I look forward to having you join us again soon. Wow! I love the Nativity die! I might have to pick that up. Your colors are gorgeous! Oh wow Sherrie this is beautiful!!!! I absolutely LOVE that nativity ornament and those poinsettias!! Such a beautiful card, love all the elements and detail you put into this and that bow and ribbon is so gorgeous! Well done my friend! 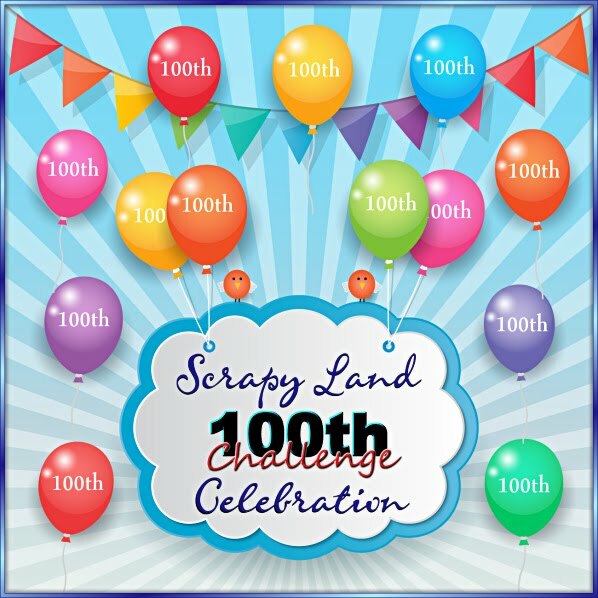 You should enter our challenge this week, remember we are always anything goes! Wow Sherrie! These cards are absolutely magnificent! 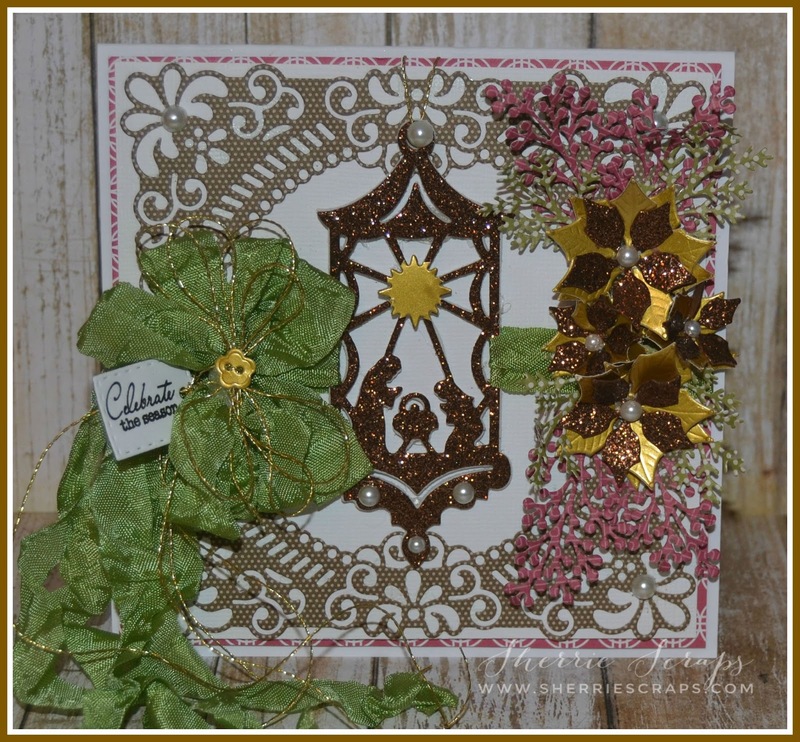 I just love all the detailed die cuts and the glittery elements are so elegant! Wow! Fabulous Card This Is Gorgeous.. Thanxx For Sharing With Us At Jo's Scrapshack This Week . These are gorgeous! Love the glitter! Absolutley stiunning. The amount if work that went into this card sure paid off. One of the prettiest cards I have seen in a while. Love it.